1. While I’m thankful for every student we have, I am concerned when seminarians opt for a shorter degree simply because of ease or expediency. For ministry preparation, the M.Div. ought to be the default unless there is a compelling reason otherwise (life stage, niche calling, etc.). Why? Because it’s a more rigorous and comprehensive degree. 2. It’s true that some churches don’t know the difference between the two degrees–but you do. The M.Div. is the complete ministry toolkit. Spend three-to-four years and be best equipped for the next three-to-four decades. From a pragmatic standpoint, the time you spend now on the M.Div. will be multiplied in time saved in the study. Also, pragmatically, the M.Div. degree will likely lead to a higher ministerial ceiling with higher compensation–thus more than recouping money spent on tuition. 3. As it relates to training, the major difference between the MTS and the M.Div. is the latter equips you for a ministry of the Word (preaching, teaching, counseling, etc.). The M.Div. contains the exegetical and linguistic tools to be best equipped to interpret and teach the text—the essential responsibility of the Christian minister. To be frank, I simply can’t imagine a person called to a ministry of the Word, but casually declining to get the M.Div. degree. I understand it’s not for everyone and that there are always particular circumstances and exigencies, but I challenge you to work for a way into the M.Div. degree, not for a way out. 4. While some churches don’t know the difference between the two degrees, many churches do. In general, the larger and more denominationally engaged the church is, the more they track where one studied and what degree they earned. 5. It is now quite normative for churches averaging north of 300 to expect their pastors to have or be pursuing a doctoral degree–especially churches closer to urban areas. Generally speaking, the M.Div. degree is prerequisite for doctoral studies. Additionally, if one day you desire to teach in a college or seminary setting, the doctorate, and thus the M.Div., are necessary. 6. While we at Midwestern Seminary have students that bridge from the MTS to the M.Div. after completing the former, as a rule I discourage that plan. Why? Because you’re putting off the more difficult classes until the second half. This path makes the second hill the more difficult one to climb. 7. Ministry is increasingly complex. We live in a zany world. The culture is imploding, ethical quandaries abound, our church members need, and will need, more from their ministers, not less. Let’s be ready for the challenge, and the M.Div. best prepares you to meet it head on. 8. Due to technological advances, theological education has never been more accessible. You can complete the entire M.Div. online. If you can’t go to the seminary, the seminary can come to you. The 100% online M.Div. is new and transformative in its reach. 9. Due to Southern Baptist generosity through the Cooperative Program, while tuition is more than we would like it to be, it’s a steal compared to other evangelical seminaries. SBC seminaries are generally less than half the price of comparable evangelical institutions. Thus compared to other seminary students, Southern Baptists can pursue the M.Div. and still pay less than the cost of a shorter degree at another institution. 10. Don’t put it off. Life, family, and ministry get more complicated with each passing year. Additionally, as life progresses, your family and church will likely grow, which means they will both require more of you. Generally, putting off your education makes it less attainable, not more. In conclusion, the question of the M.Div. vs. the MTS is a question that one should consider carefully. After all, it is not your ministry but the Lord’s that you are stewarding. 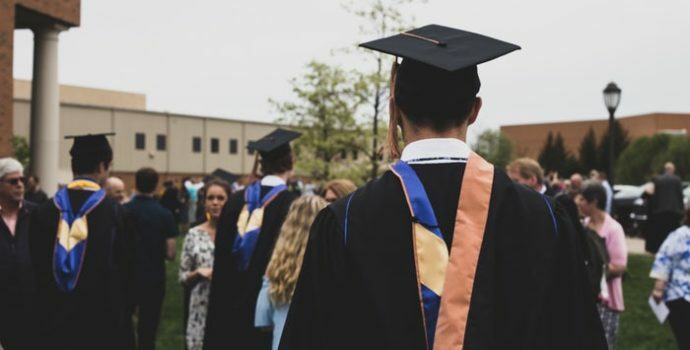 Admittedly, circumstances and calling vary from person to person, but there’s good reason why the Master of Divinity degree has long since been the gold standard for ministry preparation.